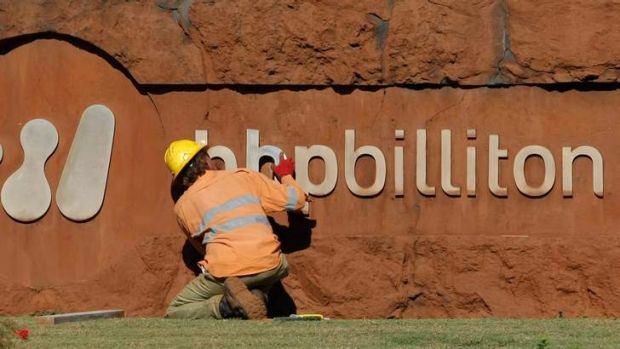 Details remain scant but reports that BHP may be mooting a $20 billion spinoff of its aluminium, nickel and bauxite operations are to be welcomed. Typically, demergers – as opposed to mergers and takeovers – tend to create value for shareholders. While there are benefits to be won from size alone, BHP’s sheer bulk is such that delivering value for shareholders has become too incremental. Its fortunes swing more on commodity prices than good stewardship. Meaningful value can only be created by risky, bet-the-company deals such as the abortive takeover of Rio Tinto at the top of the market. It’s a good thing that one didn’t come off. As evinced by China’s opposition to the Rio deal, however, and the Canadian government thwarting its potash takeover, foreign sovereign interest and myriad regulatory hurdles conspire against growth by acquisition. Reports that Goldman Sachs had been working on the spinoff for a year suggests BHP’s board may be lukewarm on the idea – it hasn’t been mentioned as BHP strategy – or the project has stalled. No deal, no fees. A demerger should stay on the cards though. Even a demerger into three entities should be canvassed. Notwithstanding the hefty costs, shareholders stand to gain. The deadline fell this week for submissions to the inquiry into Australia’s financial system and, as expected, they align in a sumptuous smorgasbord of self interest. The big banks and their proxies are calling for tax breaks on deposits so they can gorge themselves further on the national platter, while the small banks are crying for a more level dining surface. But the peak body for the bit players of the sector – the credit unions and assorted mutual societies – has been commendably forthright in proposing real reform. The Customer Owned Banking Association has called on the government to scrap the billions of dollars in taxpayer subsidies for the big four banks and end their ”age of entitlement”. ”Too big to fail bank market dominance is a serious risk to the Australian economy,” it says. The playing field should be levelled to deliver more competition and lower costs for consumers. It has even called for a levy on the subsidies the big four receive from the taxpayer. A paper by John Watson, of Margate Financial Research Solutions, found subsidies to the banks exceeded $11 billion. These include the Reserve Bank’s bailout fund (Committed Liquidity Facility, which amounts to roughly 150 basis points on current market yields, or $4.5 billion a year), the access to cheap capital which accrues from this implicit government backing, the benefits of higher ratings from credit agencies, and the likes of the ”covered bond” legislation. COBA also mentioned one of the great lurks from the encroaching vertical integration of the big banks and their wealth management operations – the siphoning of superannuation cash from bank-owned fund managers to their parent banks. Along with AMP, the investment platforms of Commonwealth Bank (Colonial), Westpac (BT), NAB (MLC) and ANZ (ANZ Wealth) now control some 80 per cent of the market for financial advice. While COBA stopped shy of calling for a bust-up of this wealth management and banking oligopoly, it did say that the funds were largely limiting their cash holdings to products offered by their parents. It said the rates being paid for these ”in house” deposit products were typically well below rates available in the broader marketplace and, at interest rates of around 2.4 per cent, were well below the rates available on deposits held with customer-owned Australian depository institutions, which are often above 3 per cent. The fact is, it is in the interests of investors for this cash to be shopped around, just as share and bond management mandates are shopped around, both for the sake of diversifying for risk and to get the best rate possible. The responsible entities for the funds are sailing too close to the wind here on fiduciary duty. At least, if the Murray inquiry fails to deliver substantial reform that makes the finance sector more competitive, it should address this cash management racket and other lurks of vertical integration.